Realizing that cars that automatically parallel park themselves are old news, Volvo has taken the concept one step—actually several miles—further with a new concept vehicle that can actually find an empty spot and park itself in a lot. You just abandon your car at the entrance of a parking lot, and like a valet you never have to tip, it takes care of the rest. 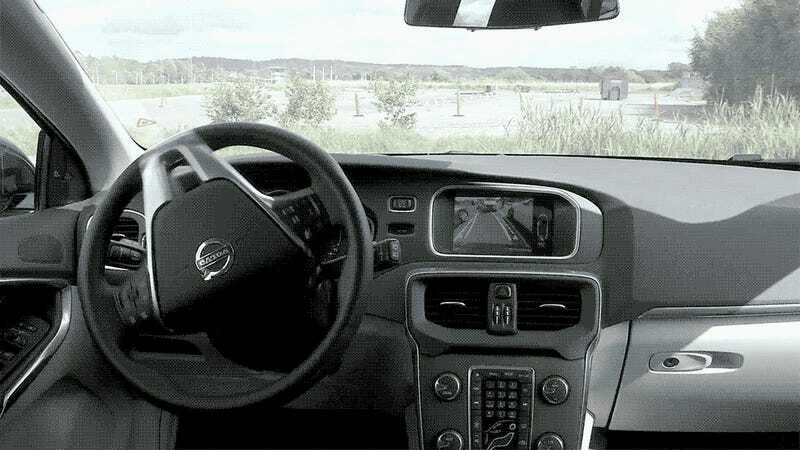 The vehicle relies on a combination of technologies to navigate a lot and find an empty spot, from on-board cameras and sensors to track and avoid other vehicles and pedestrians, as well as transmitters embedded in the parking lot's road surface to help the vehicle navigate every turn. And it's all activated from a mobile phone, both telling your vehicle to go park itself, and requesting it come pick you up. Sadly, while Volvo will be demonstrating the concept vehicle next week, there's no ETA on when the new technology might become an actual option for consumers. So until we do get our hands on it, we'll have to just keep remembering to hide our loose change whenever we use a valet service.